The indictment charges that she filed her 2011 and 2012 income tax returns claiming as dependents persons who were not dependents, thereby obtaining undue refunds. This is the basis for two counts under § 7214(a)(7) -- one for each year. In addition, the indictment charges that English filed false returns for others in which she falsely claimed as dependents persons who were not dependents of the taxpayers. This is the basis for four counts under 7214(a)(5). as to all counts, tax evasion, 7201, here. as to the first two counts, tax perjury, 7206(1), here. as to the latter four counts, aiding and assisting, 7206(2), here. A. Motion in Limine #1: The Defendant Should Be Precluded From Introducing Her Own Self-Serving Statements Unless She Testifies Subject to Cross-Examination. B. Motion in Limine #2: The Defendant Should Be Prohibited From Eliciting Testimony From Lay Witnesses on Their Opinion of the Defendant’s State of Mind. 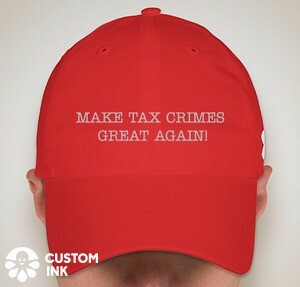 C. Motion in Limine #3: The Government Should Be Permitted to Introduce the Following Nine Tax Returns In Its Case-In-Chief, As They Are Inextricably Intertwined With The Charged Conduct Or, Alternatively, Pursuant To Federal Rules of Evidence 402, 403, and 404(b). A Fourth Motion in Limine was subsequently withdrawn, so I do not offer it here. The danger to which the Rule is addressed is that proof of character or, as some say, propensity is not proof that the defendant committed the crime charged. We have recognized two categories of evidence that may be considered "inextricably intertwined" with a charged offense and therefore admitted without regard to Rule 404(b). See United States v. Vizcarra—Martinez, 66 F.3d 1006, 1012 (9th Cir.1995). First, evidence of prior acts may be admitted if the evidence "constitutes a part of the transaction that serves as the basis for the criminal charge." Id. Second, prior act evidence may be admitted "when it was necessary to do so in order to permit the prosecutor to offer a coherent and comprehensible story regarding the commission of the crime." Id. at 1012-13. United States v. DeGeorge, 380 F.3d 1203, 1220 (9th Cir. 2004). Here, defendant's preparation of the seven other, uncharged, tax returns does not fit into the first category described by the court in DeGeorge. The government made clear at the hearing that it is not prepared to prove that those seven returns were false or fraudulent. Thus they certainly cannot be said to be part of a "single criminal episode." United States v. Lilliard, 354 F.3d 850, 854 (9th Cir. 2003). Nor does the government need the introduction of these seven returns which defendant allegedly prepared for others to offer a "coherent and comprehensive story" of defendant's commission of the charged offenses. DeGeorge, 380 F.3d at 1220. The government presumably intends to present evidence at trial that defendant willfully filed false returns for the 2011 and 2012 tax years on her own behalf and willfully prepared four returns for others in those same years knowing them to contain false information as well. The fact that defendant also prepared seven other returns, which the government is not prepared to prove contained false information, is clearly not necessary for the jury to understand the government's theory as to the six counts charged. Therefore, those seven returns are not admissible as inextricably intertwined with the charged criminal conduct. See United States v. Anderson, 741 F.3d 938, 949 (9th Cir. 2013) ("Where the evidence . . . is not part of the charged transaction and the prosecution would encounter little difficulty in presenting the evidence relevant to its case against the defendant without it, the evidence is not admissible as being intrinsic to the charged offense.") (citing United States v. King, 200 F.3d 1207, 1215 (9th Cir. 1999). Alternatively, the government argues that the seven returns prepared on behalf of others by defendant are admissible under Federal Rule of Evidence 404(b). Once again, at the hearing the government made clear that they do not intend to prove that these returns contained false information. n2 While evidence may not necessarily have to be of "bad acts" per se to be admissible under 404(b), it still must be probative as to an issue in the case other than propensity or character. Here, the government's general claim that admission of these seven returns is probative of defendant's willfulness in preparing and filing the six false or fraudulent tax returns charged in the indictment is simply not compelling. n2 Though the government does take the position that the seven returns in question contain claims of exemptions and deductions similar to the ones that government has alleged are false in the charged counts. In the court's view, this raises a heightened concern regarding the potential for unfair prejudice were the uncharged returns to be admitted in the government's case in chief. Finally, the government indicates that it is seeking to introduce the seven uncharged returns in its case in chief in order to counter an anticipated defense based upon a claim of mere mistake or accident and to establish that defendant was familiar with tax laws in general and held herself out to be a tax preparer. Of course, if defendant elects to testify on her own behalf at trial and were to do so in the manner anticipated by the government, her preparation and filing of these seven returns will likely be the appropriate subject of cross-examination. Likewise, if a defense (with or without the defendant's own testimony) is presented based upon mistake, accident or lack of knowledge regarding the tax laws, the seven returns would no doubt be offered in the government's rebuttal case. However, the court is not persuaded that the evidence is admissible for any proper purpose in the government's case in chief. For the reasons set forth above, the government's contested motion in limine #3 (Doc. No. 33) with respect only to the seven tax returns prepared for others which were not charged in the indictment is denied. I think the Court made a good decision here. Most of these types of decisions represent judgment calls which the trial judge makes in the overall context of the case. Often they can go either way, and there is no way to "split the difference." The most that can be hoped for is that the judge is fair. And, I suspect that, if the Government has a case on the merits of the charges it made in the indictment (well, the grand jury made in the indictment), it can make it without this evidence.